Robert Vadra, the brother-in-law of Congress President Rahul Gandhi, appeared before the Enforcement Directorate (ED) for another round of questioning on Saturday in connection with a money laundering case. 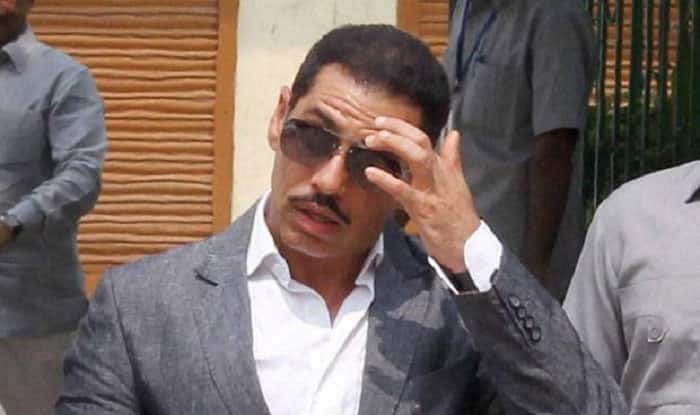 New Delhi: Robert Vadra, the brother-in-law of Congress President Rahul Gandhi, appeared before the Enforcement Directorate (ED) for another round of questioning on Saturday in connection with a money laundering case. The businessman has been quizzed by the ED sleuths twice in last seven days. On Thursday, during the second round of questioning, Vadra was confronted with the mails that he had exchanged with Sumit Chadha, a relative of absconding arms dealer Sanjay Bhandari. He arrived at the ED office in Jamnagar House in central Delhi in an SUV at about 11.25 AM. After being questioned by over nine hours, Vadra was picked up from the ED office by wife Priyanka Gandhi, the newly appointed Congress general secretary in-charge for Uttar Pradesh East. This week, the ED had quizzed him for the first time, in relation to the case, on Wednesday. The interrogation lasted for over five-and-a half hours. The Congress on Thursday slammed Prime Minister Narendra Modi over Robert Vadra’s questioning by the ED, alleging he was ‘blinded by revenge’ and taking out his anger fearing an ‘imminent defeat’ in the upcoming Lok Sabha elections 2019. “Prime Minister Narendra Modi is blinded by revenge. Prime minister Modi is taking out his anger due to the imminent defeat in the upcoming polls,” Congress chief spokesperson Randeep Surjewala said. “False cases on opposition leaders and their families are being registered… The whole country knows that since 2012 there has been a conspiracy against Robert Vadra by Modi and BJP. Seven years have gone by, but no evidence has been found against Robert Vadra or his associates,” he added.